Your "available" balance is different from your "total" balance because blockchain transactions require some fees to be paid to the network in order to include your transaction on the blockchain. You can think of your "Available Balance" as the maximum amount you can send, once transaction fees are subtracted from your total balance. The available balance subtracts network fees required to send a transaction. For example, if you have $50 USD in Bitcoin, and the fee to send it is $0.5 USD, you will see $49.5 USD as the available balance. Fees are paid to individual networks (Bitcoin, Ethereum, etc.) to deliver transactions - they are not kept by Exodus. Unconfirmed transactions are marked with a "PENDING" tag in the transaction list. Pending deposits cannot be spent until they are confirmed. 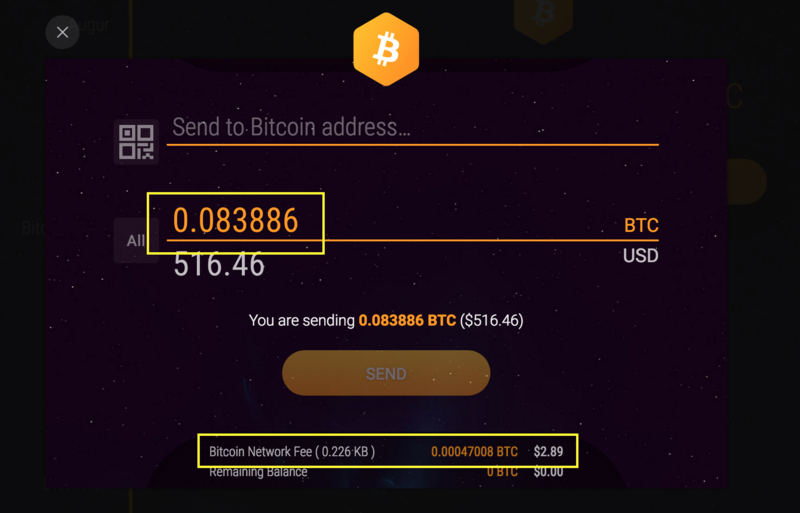 While transaction fees for most Blockchain Networks are negligible and very close to $0.01 USD, Bitcoin (BTC) fees can be much higher than that because the Network is very popular (and sometimes congested) and because Bitcoin uses a UTXO-model where several inputs might be included in a single transaction. With Bitcoin and other similar coins, the more previous deposits (Unspent Outputs) you have If your wallet, the more data has to be included in your transactions and this makes network fees higher. Something important to keep in mind is that Exodus will automatically calculate and set the fees in order to make transactions confirm faster, and this could lead to slightly higher fees than other services that prioritize lower costs over speed and reliability. If you are looking to minimize transaction fees, less popular networks like Litecoin, XRP, DASH, and ETH will have a lower price. This is all subject to network congestion, though.